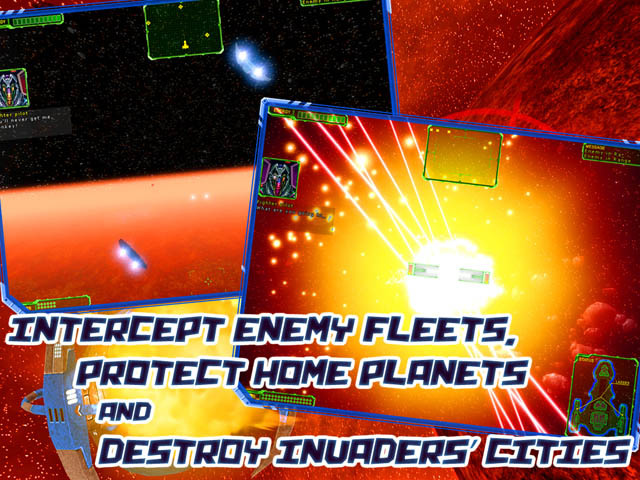 Action space game with strategic elements. Destroy enemy bases before enemies destroyed allied cities. You have to attack enemy fleets in open space and on planet orbits. Use proper weapon for a certain kind of enemy ship. Don\'t forget defend space stations - these are the only place where you can get ship repairment and weapon rechargement. Features: old-school gameplay; strategy elements; a lot of enemy ships. Controls: Cursor keys - rotation; Left CTRL - fire; Space - map; S - set shields on/off; W - change weapon; Mouse - selection on the map.